Rated 8 out of 10 based on 1 ratings. 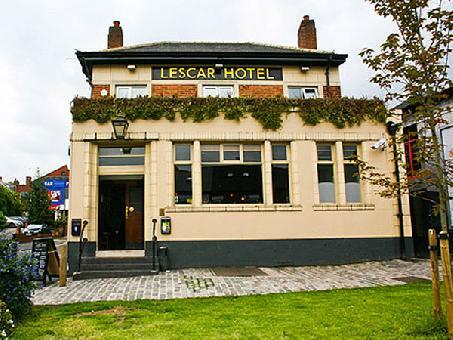 The Lescar is a restaurant and pub located in Hunters Bar, Sheffield. The type of food served at the venue is British Pub Food. Is this your listing? Contact us here with any updates or amendments. Kelham Island Pubs and Bars.. The Kelham Island real Ale trail pub locations, details and area map. For the latest Ecclesall Road bars information, including events, details and area map. Sheffield City Centre has a variety of bars on offer for all tastes and occasions. Areas include the popular West Street, Division Street, Leopold Square and St Paul's. Cookies are used on this website to improve your experience. This tool provides information on cookie usage and management. By using this site we will assume you are happy to continue. Read more. We also use non-essential cookies for social media, and site usage reports, which helps us to make site improvements. Only anonymous information is stored by cookies on this site. Cookies can be controlled using your browser settings.